In order to drive home something of the horror of the Nazi regime in Germany (1933-1945), it is fairly commonplace in textbooks and presentations to include graphic photos of Nazi brutality. 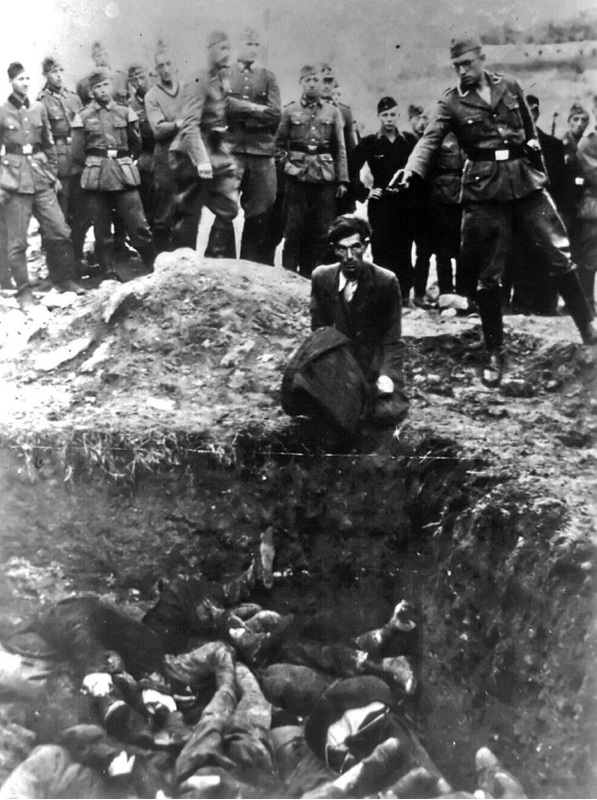 One of the most piercing is this one of a Nazi soldier shooting a Ukrainian Jew, with the attendant picture of a mass grave. We have all seen photos of Belsen and Auschwitz, as well as horrors from the Burmese railway project supervised by the Japanese. One of the few films I have sat through was one based on Solzhenitsyn’s One Day in the Life of Ivan Denisovich. The power of the message lay in the fact that this misery was all contained in one day in the Russian Gulag. I have heard of people being upset by such photos, but I have never heard of people arguing that they are morally wrong, let alone that they should be banned by parliamentary legislation. The argument is that people have to face this reality in the hope, however unlikely, that we will learn from these events and they will never be repeated. Not so with abortion. 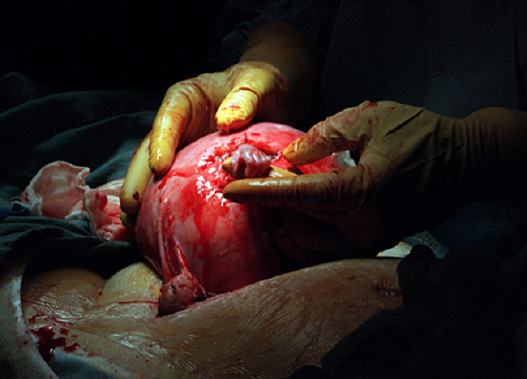 Photos of aborted children are gruesome indeed, and it is not easy to view them. Even models of unborn children are a painful reminder of what we are destroying. Yet it is all accurate and true. The models are not deceiving – unlike Ernst Haeckel’s pictures of the unborn child in late nineteenth century Germany which supposedly showed the ‘evolution’ of the child in the womb. Accuracy does not, it seems, decide the issue. The problem is precisely that the photos or models of the unborn child are accurate. As a result, the modern pro-choice society becomes coercive and blames those who dare to show these photos and models. Yet no one blames the man who photographed the Nazi soldier shooting the helpless Ukrainian Jew. There is something deeply disordered about all this. The morality is schizophrenic, without a foundation, and without internal coherence. It is as T. S. Eliot said in the Four Quartets:‘humankind cannot bear very much reality’. Swamping the public arena with photos of unborn babies may do more harm than good, for all I can tell, but it is hard to fathom why it ought to attract fines, even gaol terms, and moral indignation from those who think that they have a monopoly on compassion and kindness in this issue. The photo of the doomed Ukrainian Jew arouses our sympathy and our sense of moral outrage, but photos of unborn children seem to arouse a sense of guilt and moral fear.